I don’t think this is a magical hard and fast rule, but it repeatedly seems to be true for my life, and therefore I want to talk about it. So onto my second point, for me self condemnation is often easier than forgiving myself in the midst of dealing with that hurt. For me, the new mercies we’re promised as believers, aren’t something I can even be aware of when I’m stuck in the dark self condemnation place. They seemingly aren’t there and seem to not come in that dark place (but I think they were there all along – prideful self condemnation just prevents their recognition). But when we (I) finally are able to forgive ourselves, the blinders are taken off and new mercies seem abundant. After three days of asking God for forgiveness over and over again, mixed in with many moments of telling Him I don’t deserve forgiveness and wish that He’d give up on me (I don’t mean that, but I feel it, you know? ), I finally forced myself to speak the same truth to me that I would to my people. I added a few more tears to the buckets I’d cried over the last days, and then just forced it, 3rd person style. It was hard and I hated it. For the grand finale of this dramatic moment, I looked myself in the eyes in the mirror and said, “I forgive you.” And then of course, cried some more. But when I heard me tell me (I do realize I sound like a crazy person right now, but whatevs) that I was forgiven, for the first time in several days I felt like I was going to be okay. And just like that I was made aware of all the new mercies surrounding me that I thought I had been deprived of that morning and the day before. 1. IT IS NOT WORTH IT. I promise, the sin you miss, the sin you’re contemplating, the sin your dabbling with and getting entangled with, the sin you are planning, the sin you want to stop fighting against, IT IS NOT WORTH IT. It’s not. It’s not worth the pain. It’s not worth knowing you momentarily decided that your enticing sin is better than Jesus only to promptly be reminded that it’s not and broken over the fact that you’d even consider it was. 2. Self condemnation is not okay! It’s not holy. It’s just as unholy and sinful as the sin that lead you there. It’s dark and lonely and isolating and FULL OF LIES! It’s all a lie. It really is. Shame and self condemnation are not where we should go. And if you’re like me and don’t know how to not go there, it’s definitely not where we should stay. GET OUT! “I guess you really did it this time. Left yourself in your warpath. Lost your balance on a tightrope. Lost your mind tryin’ to get it back. It’s alright, just wait and see. Your string of lights is still bright to me. Oh, who you are is not where you’ve been. You’re still an innocent. Did some things you can’t speak of. But at night you live it all again. You wouldn’t be shattered on the floor now, if only you had seen what you know now then. It’s alright, just wait and see. Your string of lights is still bright to me. Oh who you are is not where you’ve been. You’re still an innocent. It’s okay, life is a tough crowd. 32, is still growin’ up now. 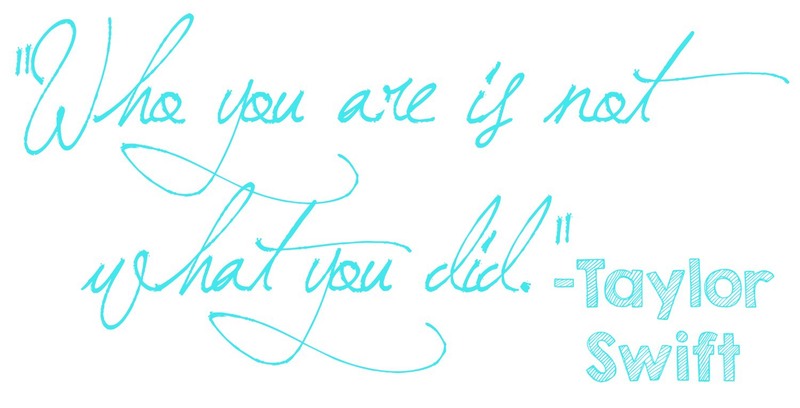 Who you are is not what you did. You’re still an innocent.